Niseko 343 is a long-established and trusted retail and rental store based in the central Hirafu area near the base of Niseko Grand Hirafu. Niseko 343 has been operating now for over 25 years. From quality North European brand wear to powder skis and other products, it offers products that are not available elsewhere. 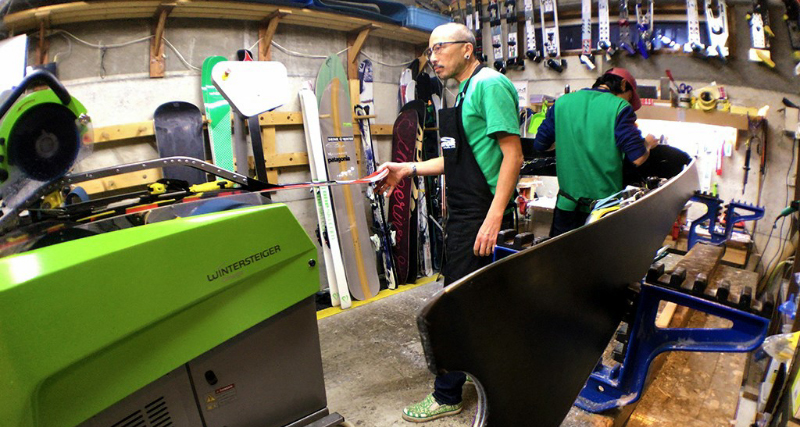 Professionally trained staff at Niseko 343 conduct regular tune-ups and maintenance on rental skis and snowboards using the latest methods and machinery, so gear is kept in the best possible condition at all times. Low charges New season most recent models are available to rent at low prices. A further 10% discount is available for bookings made online. Full Range of backcountry equipment A full range of equipment is available from beacons to skis with tour bindings. Pick up from 4pm the previous day If you want to be the first to hit the slopes in a morning, you can pick up your rental gear after 4pm on the previous day! Located in the central Hirafu area near the base of Niseko Grand Hirafu - please visit us!